This is the most Classic Christmas tree. They have a beautiful shape and a lovely aroma. Their branches are strong and its needles are ¾ to 1½ inches in length and last a very long time. 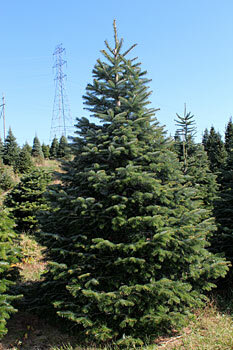 This tree has a dark-green appearance and retains its pleasing fragrance throughout the Christmas season. 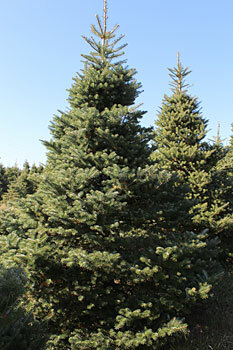 This newer variety has become a very popular choice as a Christmas tree over the years because it is one of the longest lasting cut trees, remaining fresh from Thanksgiving through New Years! 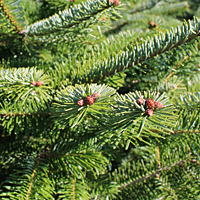 The shape of the Canaan Fir is beautiful, it has strong branches for hanging ornaments, an exceptional fragrance, and excellent needle retention. 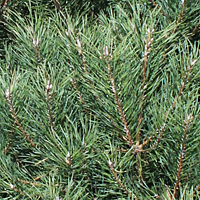 Canaan fir has a firm branch with soft short needles that are a lustrous dark green on the upper surface and a lovely silvery blue on the underside. 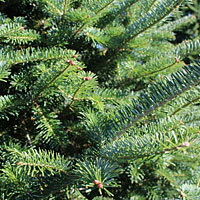 It has characteristics similar to both Balsam and Fraser fir. The wonderful fragrance of the Canaan Fir rivals that of its cousin the Balsam Fir and it will fill the house with the delightful "scent of Christmas". 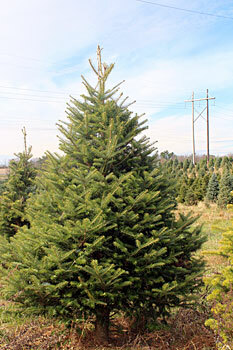 Also known as a White Fir, with soft long needles 1 to 2 in. in length and occur in rows, with strong branches They have wonderful curving foliage, with color ranges of blue to silver-green. 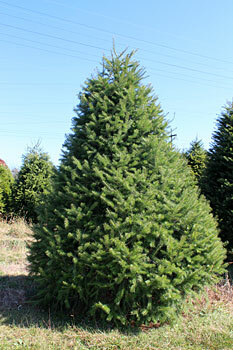 It’s lovely shape, citrus-like" aroma and excellent needle retention make this tree a great choice at Christmas time. 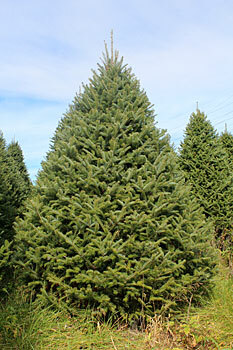 Concolor Fir is the ideal choice for those people who suffer from tree related allergies. 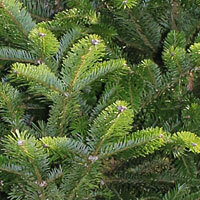 These soft needles are dark green to blue green in color and are approximately 1 to 1 ½ inches in length. 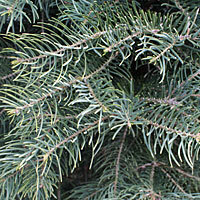 Douglas-fir needles radiate in all directions from the branch. It has great needle retention and a sweet fragrance. They are one of the top major Christmas tree species in the U.S. Because of its soft branches it is a great choice for families with infants. 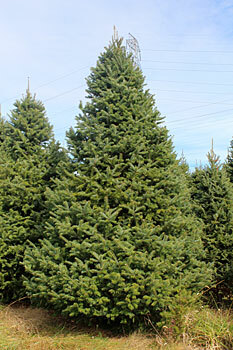 The Fraser fir are becoming extremely popular and common in today's home for Christmas. They have good form and needle-retention. They are known for their upturned branches. They have a nice blue-green color and a pleasant scent. Truly exotic, native to the higher mountains of South Korea. This tree is known for its excellent needle retention, pleasant citrus smell, and the white "flash" of its needles. 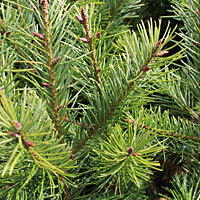 Similar in appearance to Fraser fir with lighter foliage and reddish buds. 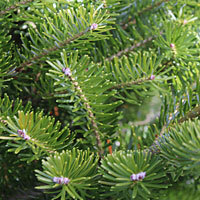 This Exotic Fir is native to the Caucasus Mountains. Preferred Christmas tree of Europeans, similar to a Frasier Fir. It is a very full tree in terms of both branches and foliage. The needles display a dark, green, glossy upper-surface with a contrasting silvery white under-surface. 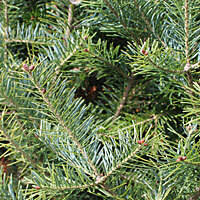 The needles are flat with rounded tips, and grow in symmetrical rows circling around the branch. Considered a Hoover friendly species, the Nordman fir has excellent needle retention that enables it to have “just cut” look throughout the Christmas season. 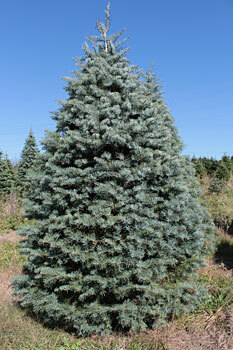 Its light scent makes it a desirable species for consumers with tree allergies. It has long needles; these needles don't even fall when they're dry, providing excellent needle retention. The color is a bright green. 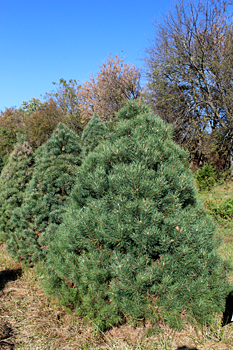 The most common Christmas tree in the U.S., has great keep-ability and will remain fresh throughout the holiday season. *Prices at actual locations may differ online. Lafayette St. & Kenmare St.
6th Ave. & Carmine St.
Hudson St. & Gansevoort St.